See and hear what our scholars have to say about ECEF! Shahrina hails from Johor Baru. 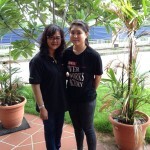 Her father is retired with no income, but with commitments to look after other family members; her mum has a half-day job as a clerk and also sells breakfast kuih. In her personal statement in her application form, Shahrina expressed that it was her dream career to be an interior designer, hence it is fitting that she is now studying for a Diploma in Interior Design at KBU. 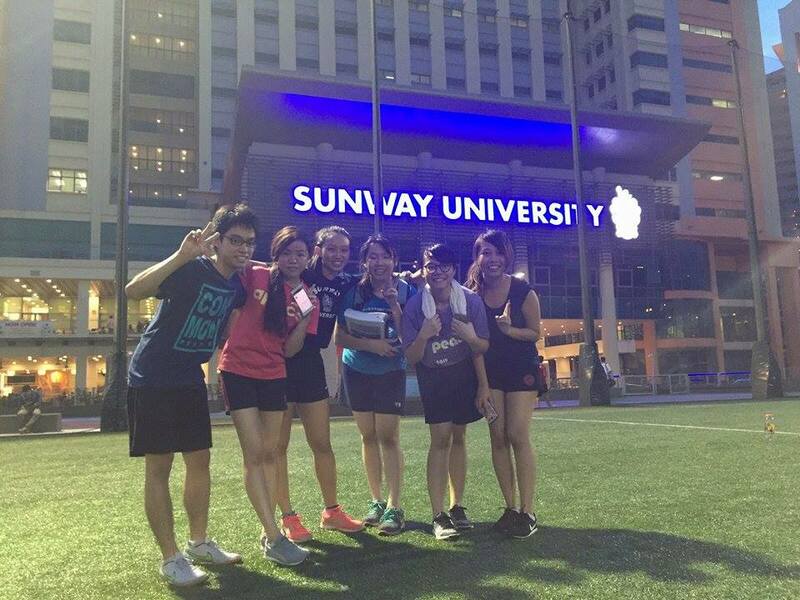 Now pursuing a Diploma in Hospitality and Tourism Management at KBU, Chia Hui’s determination and interest in her course can be seen in the fact that after completing her SPM in 2013, she worked 10 months in 2014, of which 6 months were as an intern in a 5-star hotel in KL. She worked 10 – 12 hours daily, 5 days a week. Apparently she was the only intern who finished the 6-month contract – all the others dropped out. Keen on a career in the hospitality industry, after her SPM exams, she worked for 6 months in 2014 as an intern in a 5-star hotel in KL. It was tough – she worked 10-12 hours daily, 5 days a week, but she persevered and did not drop out, unlike all the other interns. Apparently she was the only one who finished the 6-month contract. She is now pursuing a Diploma in Hospitality and Tourism Management at KBU International College with the help of a scholarship from the Elena Cooke Education Fund. 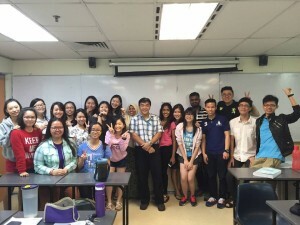 Her course started in May 2015. 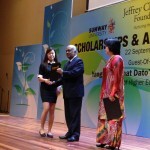 In her first semester exams, she did very well, with a CGPA of 3.63, which put her on the Dean’s List. 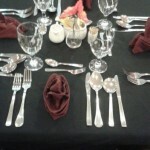 Just one of many skills learnt so far at college. 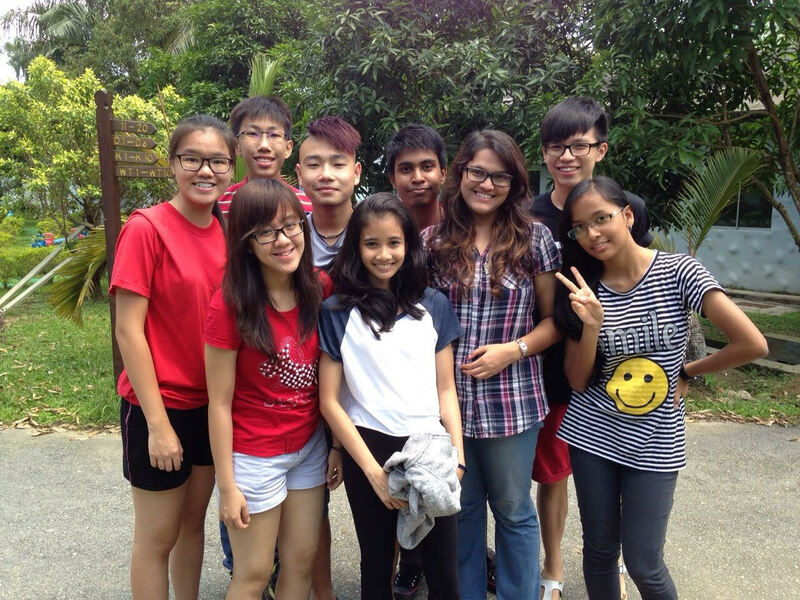 You just may be able to spot our ECEF scholar, LEE CHIA HUI, at One World Hotel. 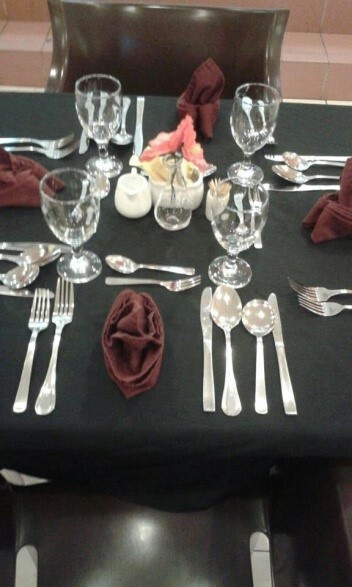 Chia Hui has recently completed her Semester 4 in Diploma in Hospitality & Tourism Management at First City University College and is now doing her F&B internship at the hotel’s Cinnamon Coffee House and Banquet for one month. After that, you may bump into her at Front Office where she will be for two months. 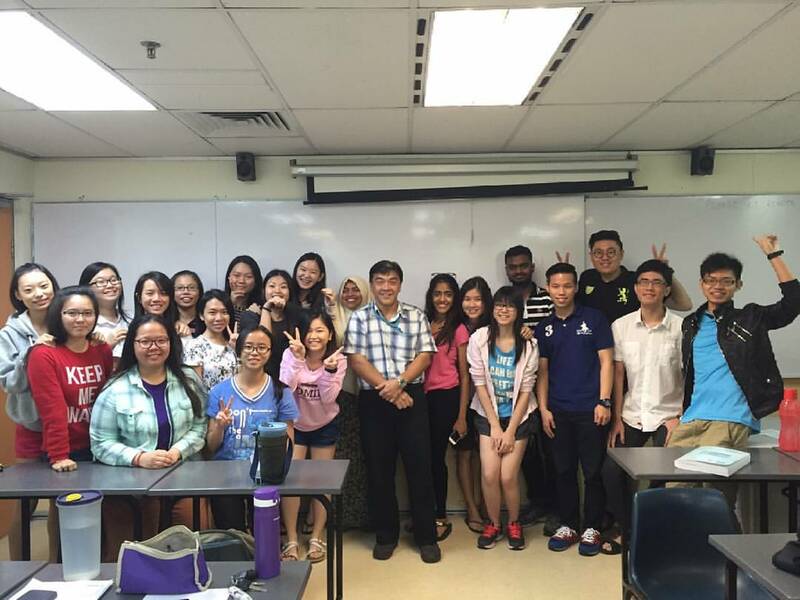 What a great opportunity to practise what you’ve been taught, Chia Hui. 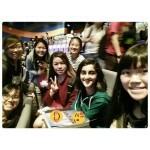 Enjoy your time at One World! 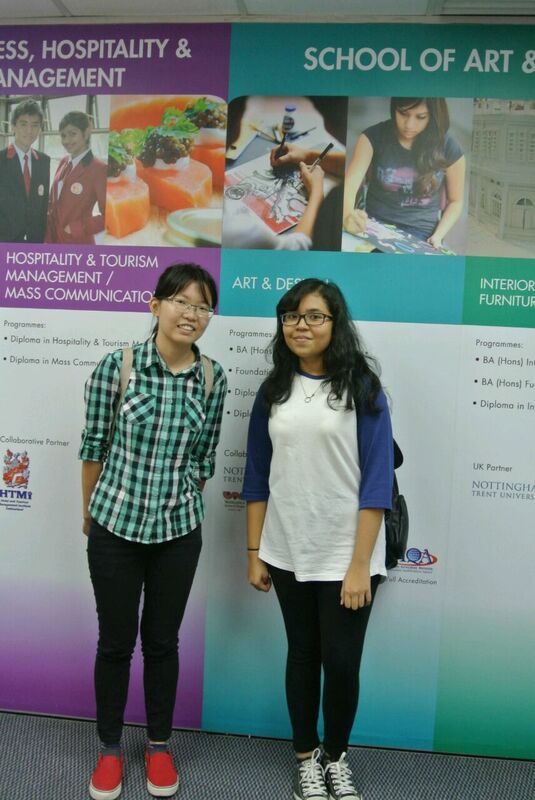 Kim Long has gained entry into KDU University College to study for a Diploma in Electrical & Electronics Engineering. His father works as a “tukang rumah” for a building contractor in Muar, earning less than RM2,000 per month, hence he would never have been able to afford the fees and expenses of doing such a course in a reputable institution like KDU University College. Like all our applicants, Kim Long’s wish is to be able to help his parents through their struggle of providing for the family amidst the rising cost of living. He knows that the way out of poverty for them is through a good education that will propel him towards a brighter future. 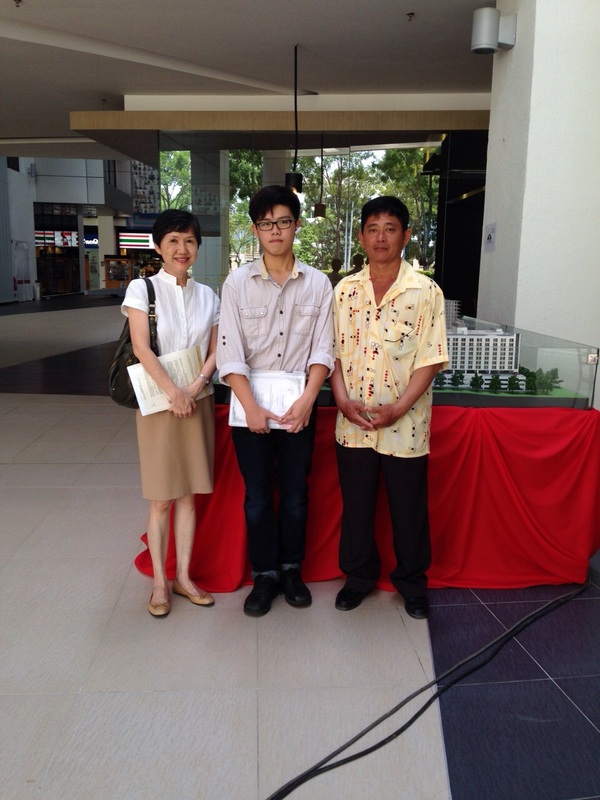 Lim Kim Long started his Diploma in Electrical & Electronics Engineering course in KDU University College in May 2015. He seems to be doing well; in the first semester exams, he passed all his papers and scored a high CGPA of 3.7. 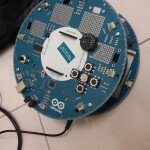 One of his current projects is to figure out how to program an Arduino robot to find its way out of a maze as quickly as possible. 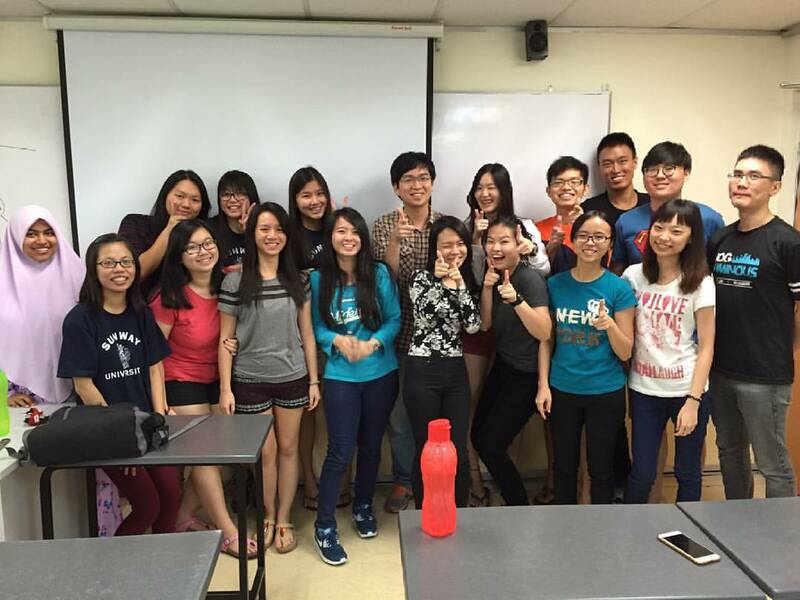 Attached is a recent photo of Kim Long with other students in KDU (he is in the centre). 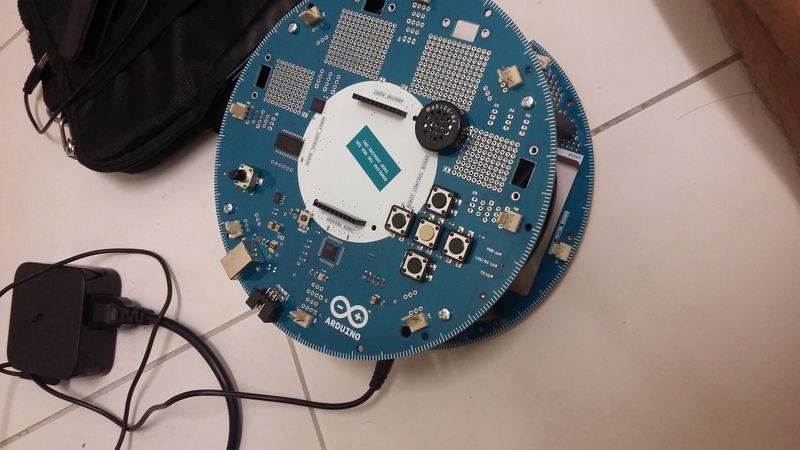 Want to know what an Arduino robot is? The attached photo may help. For more information, you may want to google it! Check out Kim Long’s uniform – what he has to wear when he goes to the plant. 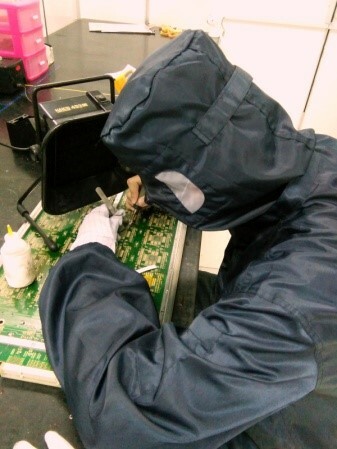 LIM KIM LONG, our KDU Diploma in Electrical & Electronics Engineering scholar, is currently doing his 13-week internship at a microchips maintenance company in Sungei Way which has its HQ in Singapore. 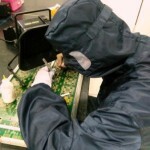 The company checks microchips they receive from customers. “My task is to check all the boards and do the maintenance,” Kim Long explains. He is doing well in his studies, having scored a cumulative GPA 3.47 score as at May 2016. He will finish this internship on 25 November 2016. 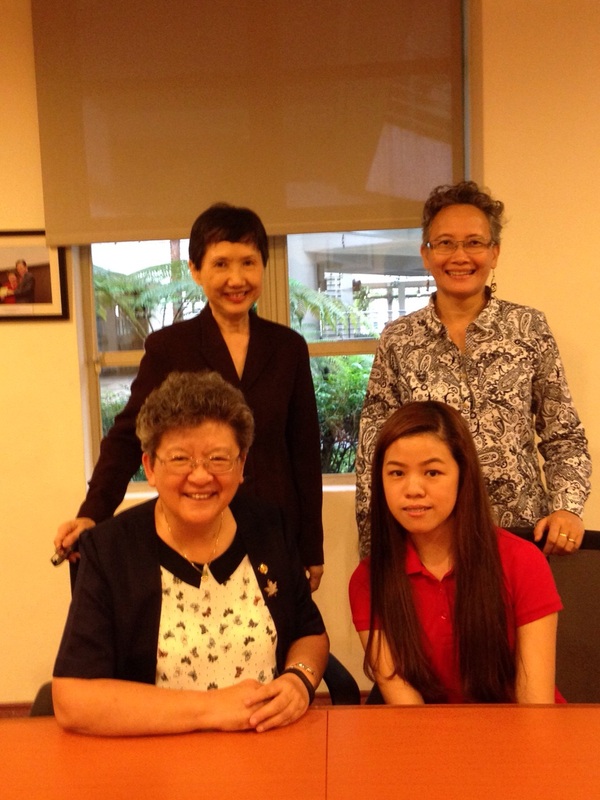 Seated (L to R – Foo Jun Chow, Ms Moey & Nicholas Chong Standing (L to R – Ooi Sze Lay (Selection Committee), Wong Oi May (Selection Committee), Datin Noor Azimah (Director, BBGS Alumni Berhad), Jennifer Cheong (Director, BBGS Alumni Berhad), Kiang Chew Peng (Selection Committee). 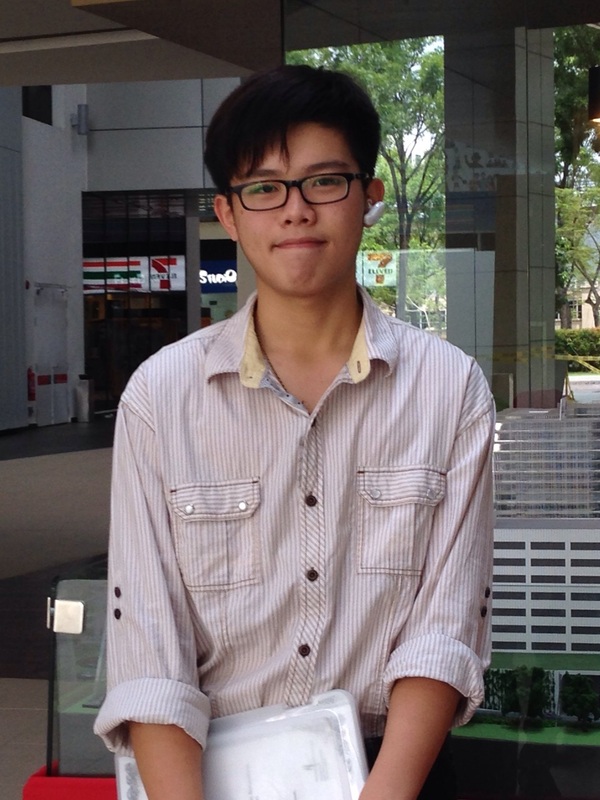 Since early on in school, Jun Chow already knew that he wanted to be an Accountant and took up Accounts as a subject for both his SPM and STPM exams. 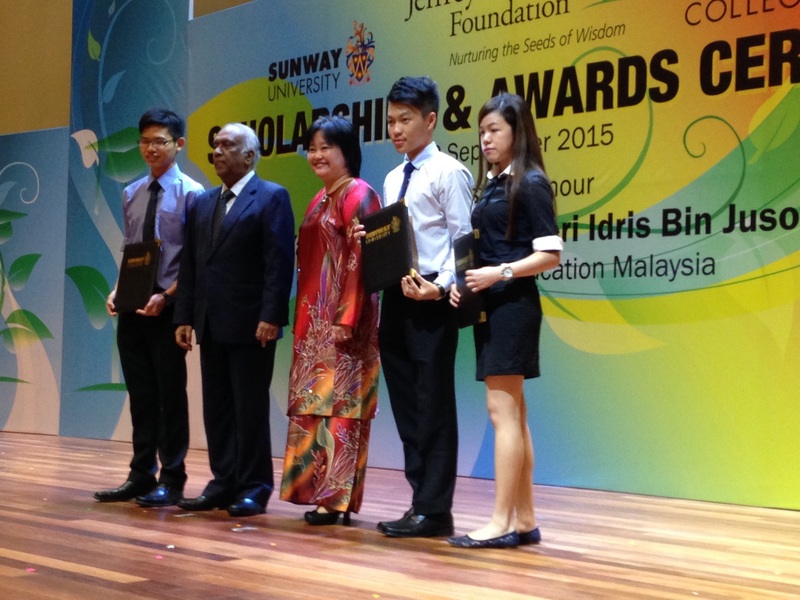 Jun Chow scored 7As in his SPM (including an A+ for Accounts) and 4As (a CGPA of 4.0) in his STPM exams. 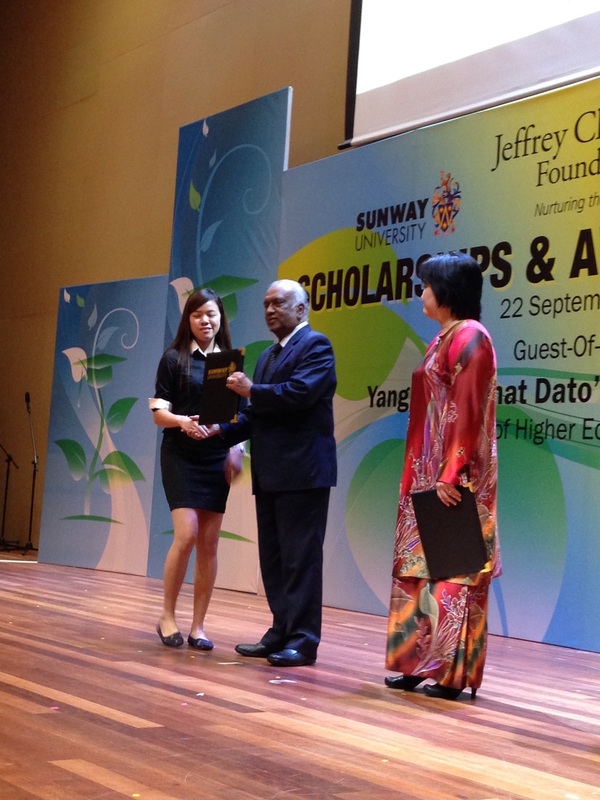 He has just been given a Sunway-Elena Cooke Education Fund scholarship to study in Sunway College for the ACCA professional qualification. His father is a helper in a restaurant in Menglembu, Perak, with 2 other children to take care of. To help make ends meet, Jun Chow has been selling garments in the morning markets during weekends, and also teaches Accounting in a tuition centre in his hometown. He says he has learnt resourcefulness, patience and self-motivation and is quietly confident that with his determination and strong foundation in Accounting he has what it takes to do well. We wish him all the best! 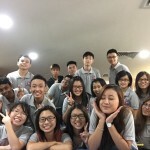 In July this year, he started his course in Sunway College to obtain the ACCA professional qualification with the help of a Sunway-Elena Cooke Education Fund scholarship. 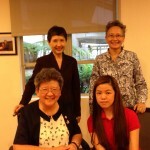 Jun Chow has been working really hard and so far has done well. For his recent ACCA exams, he obtained high scores of 87% in F1 – Accountant in Business, 89% in F2 – Management Accounting and 90% in F3 – Financial Accounting. He has also told us that he was “lucky” to be chosen to attend a leadership camp run by the Sunway-TES Accountancy Club, as well as the Global Transformation Forum 2015 where he met and listened to famous personalities such as Tan Sri Tony Fernandes, Arnold Schwarzenegger and Dato’ Sri Idris Jala. He said he was much inspired and motivated by them. Nicholas has had his share of hard knocks in life – his father passed away in August 2014 in a hit and run accident very early in the morning while on his way on his motor-cycle from Skudai, Johor to work in Singapore. Nicholas was then only 16 years old, but had to undertake the job of identifying his father’s body and to deal with the relevant authorities as a result of his father’s death. To top it all, his father had no life insurance and his employer paid no death benefits, which meant that the little family – Nicholas, his mother and younger brother – was left with virtually nothing (other than RM3,800 claimed under the insurance policy on the motorbike). His mother is disabled (she is deaf) and now cleans a neighbour’s house (part-time) and also washes plates in a restaurant, earning a total of about RM300 a month. 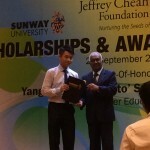 Despite his adverse circumstances, Nicholas is a positive young man and now intends to make the most of the opportunity he has been given, with help from the Elena Cooke Education Fund – to study in Sunway University for a Diploma in Business Studies – and thereafter to help his mum and his brother with his further studies. From L to R: Kiang Chew Peng, Teo Shi Teng, Nicholas Chong, Jennifer Cheong, Foo Jun Chow, Phan Wai Kin (our 5th Sunway ECEF scholar, who formally received his award last year) and Lim Kah Meng. The Elena Cooke Education Fund has given him a scholarship to enable him to pursue a Diploma in Business Studies in Sunway University. His course started in August 2015. 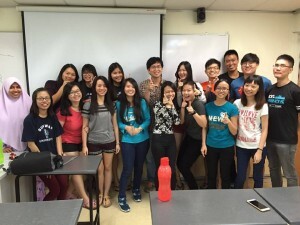 For his first semester, he is taking 4 subjects: Microeconomy, Computer Application, Business English 1 and Introduction to Business. In the last subject, one assignment was to perform a marketing audit analysis and then make specific recommendations on how to make a designated product a best seller. 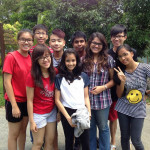 The product in this case was Nasi Lemak; the students were split into groups, each of which had to produce a Nasi Lemak TV Commercial. 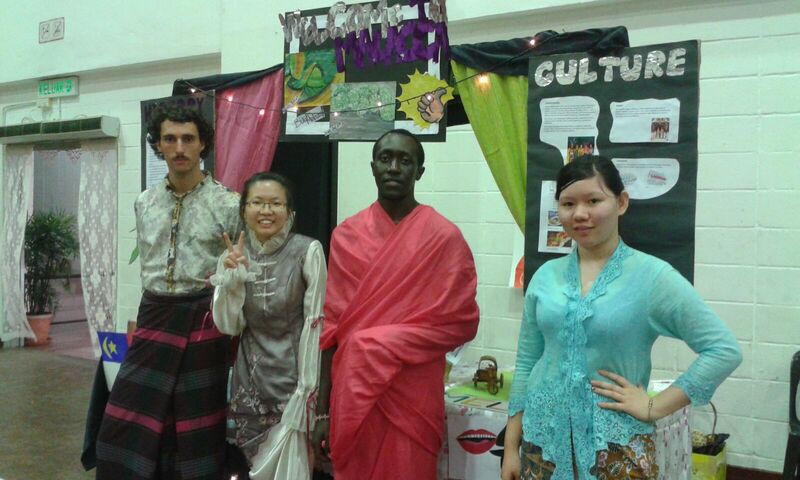 The video produced by Nicholas and his group was one of the top 6 videos and scored 14 out of a maximum of 15 marks. 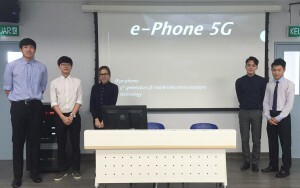 In Business English 1, the group had to present a new product – an “E-Phone 5G” – to potential customers. 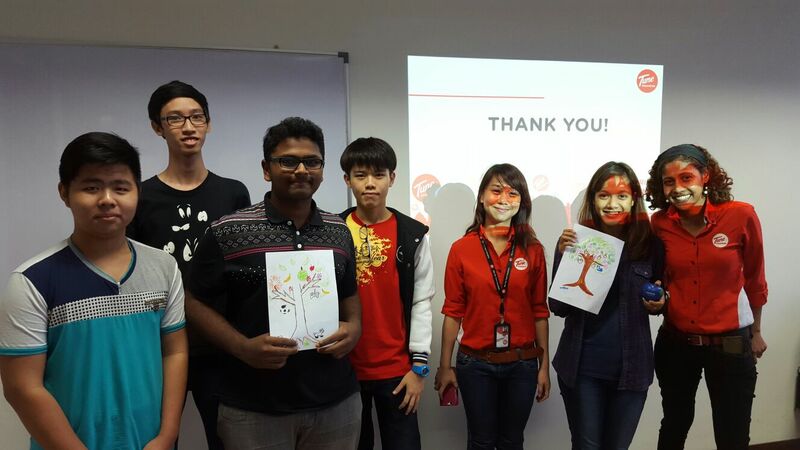 The photo (on the right) shows Nicholas and his group before they made their presentation. Shi Teng comes from Ledang, a small town near Muar in Johor. Like Nicholas, she lost her father in a road accident. That was 6 years ago. Since then, Shi Teng’s elder brother has had to take on the role of breadwinner. He now works in a plantation and with his salary of RM1,500 per month supports his mother, Shi Teng and 2 younger brothers. 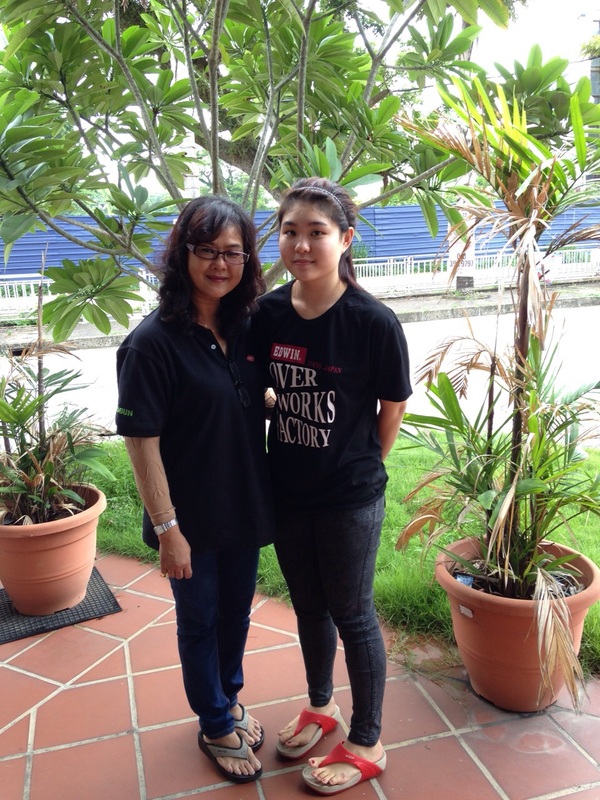 To help her family, Shi Teng has been working part-time since 2012. 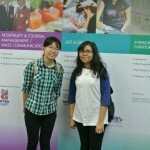 She had excellent results in her SPM exams in 2012, scoring 10A- / A / A+ and went on to do her STPM. At the same time, she was active in extra-curricular activities in school and even represented her school in badminton at state and national levels. 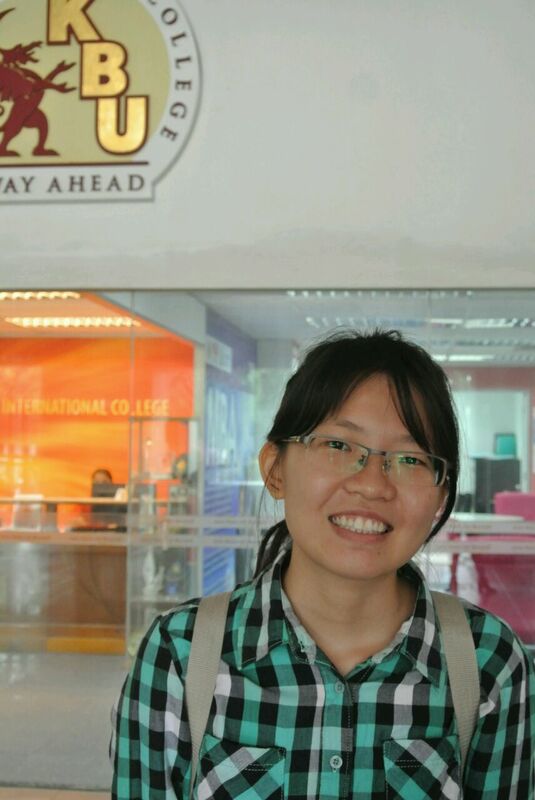 Shi Teng has been accepted to pursue a Bachelor of Science (Hons) degree in Accounting & Finance at Sunway University, aided by a scholarship from our Elena Cooke Education Fund. 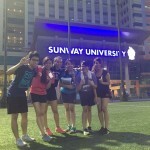 A keen sportswoman, Shi Teng has joined the Athletes’ Club in Sunway. Below are a photo of her with new found friends after a workout and another photo of her with classmates in the lecture theatre. 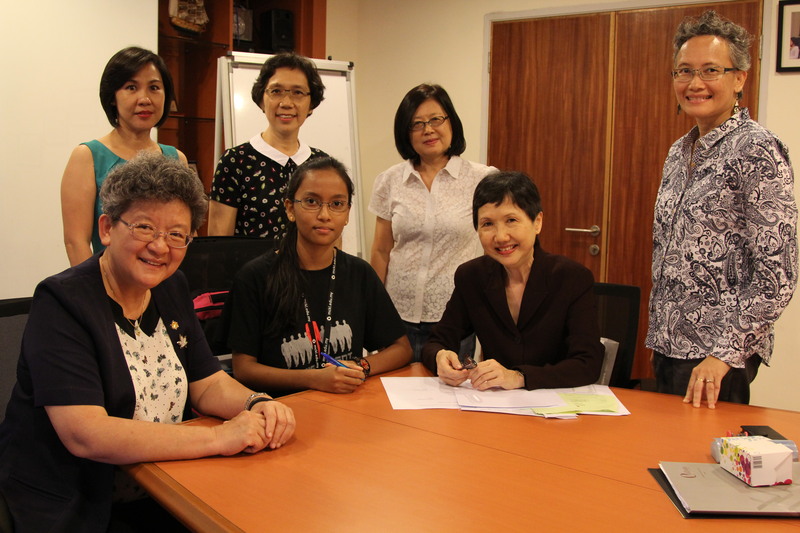 Seated (L to R): Ms Moey (Chairman, BBGS Alumni Berhad), Wong Miggie, Jennifer Cheong (Director, BBGS Alumni Berhad) Standing (L to R) : Ooi Sze Lay (Selection Committee), Wong Oi May (Selection Committee), Kiang Chew Peng (Selection Committee), Datin Noor Azimah (DIrector, BBGS Alumni Berhad). It is good to know that we are playing a part to help this young woman on her way to a better future! 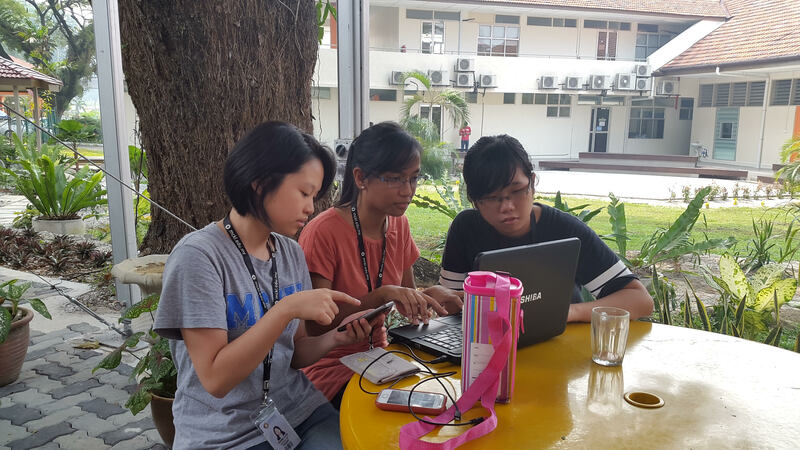 Miggie is studying for the Certified Accounting Technician (CAT) qualification course in Methodist College Kuala Lumpur (MCKL). The Elena Cooke Education Fund has given her a partial scholarship, financing part of her fees and book expenses. 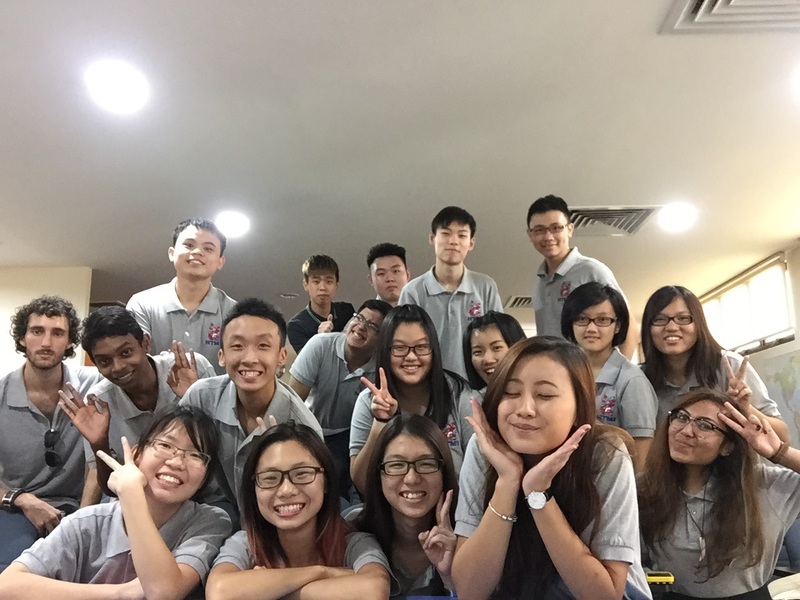 The CAT course is a professional course and is a precursor to the ACCA accounting course. In the June 2015 exams which are set by ACCA in the UK, Miggie sat for 2 papers and passed both of them, achieving 84% in the paper called MA1 – Management Information, and 78% in the paper called FA1 – Recording Financial Transactions. This December she will sit for 3 more papers. Determined to help her mum, Carolyn started working part-time when she was only 15 – she has worked as a waitress, shop assistant, clerk & kindergarten teacher. Despite all that, she did not allow her part-time jobs to affect her studies – she achieved 5As in PMR and 8As in SPM – because, according to her, she takes her studies seriously. Her older sister once told her that education is the only way out from poverty. Carolyn understands what that means. She has promised that she will work hard to get excellent results – she is pursuing a Diploma in Mass Communications at Han Chiang College in Penang – and not disappoint us. The Elena Cooke Education Fund has given her a partial scholarship to help her with her College fees. By the way, Carolyn took up Taekwondo in school and holds a black belt. She said that it has helped make her a disciplined individual. Even now, Carolyn works part-time. 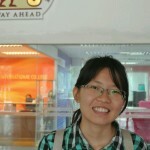 After classes in the College on Penang island, she travels back to Butterworth by public transport and goes to work at night at a music school. She is a shining example of hard work, single-mindedness and sheer grit. 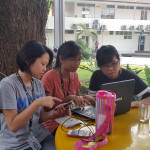 Carolyn started her course at the Han Chiang College in Penang in April 2015, pursuing a Diploma in Mass Communications, aided by a partial scholarship from the Elena Cooke Education Fund. She lives in Butterworth with her mum (a single mother) and younger brother, so she takes buses and the ferry to attend classes on Penang Island. After classes, she returns to Butterworth to work at night at a music school. Carolyn scored a respectable 2.94 CGPA in her 1st semester exams. Here is a photo of Carolyn with her mum, whom she calls “the best mom in the world”. 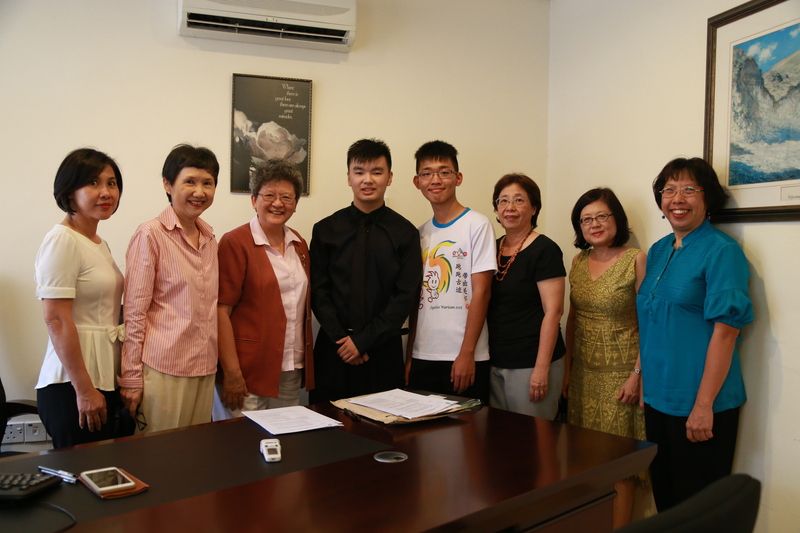 Wilson Fung & Lim Kah Meng at the signing of their scholarship agreements. 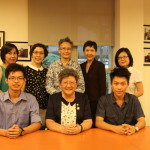 Left to right are Ooi Sze Lay (Selection Committee), Jennifer Cheong (Director, BBGS Alumni Berhad), Ms Moey (Chairman, BBGS Alumni Berhad), Wilson Fung, Lim Kah Meng, Loke Ling Marn (Selection Committee), Kiang Chew Peng (Selection Committee) and Dolly Chan (Selection Committee). Wilson Fung from Batu Pahat has been an outstanding student, scoring straight As in UPSR and PMR and 11A- /A/A+ in SPM exams. He was also active in community work – joining the Leo Club in Form 2 and becoming the President in Form 5 – and was the commander of the Scouts’ marching team for 3 years. 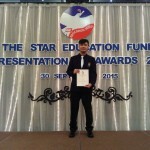 With his good SPM results, Wilson was able to secure a Star Education Fund scholarship that covered his tuition fees to study for a Diploma in Business Studies (Accounting) at the Tunku Abdul Rahman University College in Kuala Lumpur, commencing May 2015. But as his father is retired, without any further income, Wilson still needed help with living expenses – such as his rental, food and purchase of books. 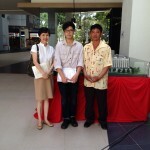 The Elena Cooke Education Fund decided to grant him a partial scholarship in the form of a monthly allowance. With this, Wilson can concentrate on studying, to fulfil his aim of going further to pursue a degree and thereafter to provide for his parents. Wilson Fung from Batu Pahat is pursuing a Diploma in Business Studies (Accounting) at the Tunku Abdul Rahman University College in Kuala Lumpur. The Elena Cooke Education Fund has granted him a partial scholarship in the form of a monthly allowance that helps him with his rental, food and books. 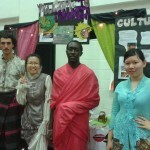 He also has a Star Education Fund scholarship that covers his tuition fees. 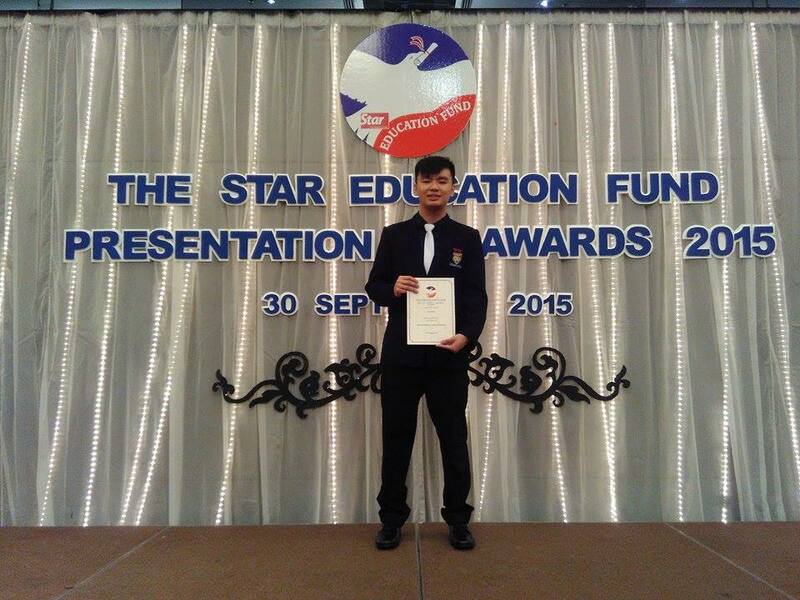 Recently, Wilson attended the Star Education Fund ceremony where he (together with other students) was formally given the Star Education Fund scholarship. 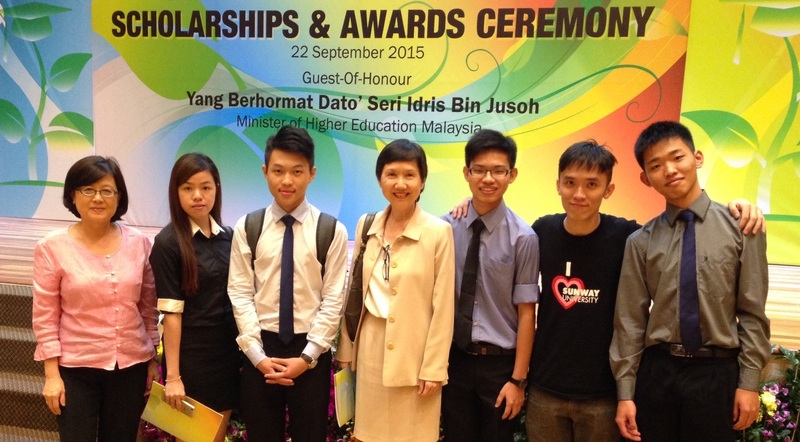 His picture appeared in the Star newspaper on October 1, 2015 (please refer to the attached photo showing Wilson – 3rd from left – and other students chatting with The Star Media Group MD and CEO Datuk Seri Wong Chun Wai). 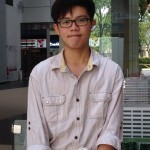 By the way, in his recent semester exams, Wilson achieved a CGPA of 4! Sign up as a member of the BBGS OGA. We want to hear your stories from the good old days. Share your stories with us for everyone to read.